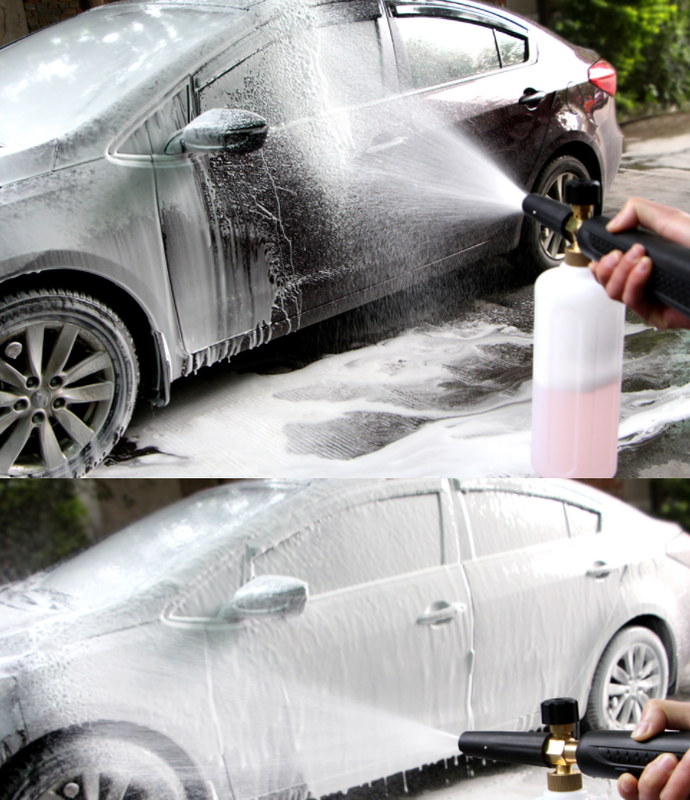 This 1/4 Snow Foam Lance Cannon Washer Gun Soap Pressure Car Foamer Wash Jet Bottle.By using this cleaning machine, you will get rid of much trouble. 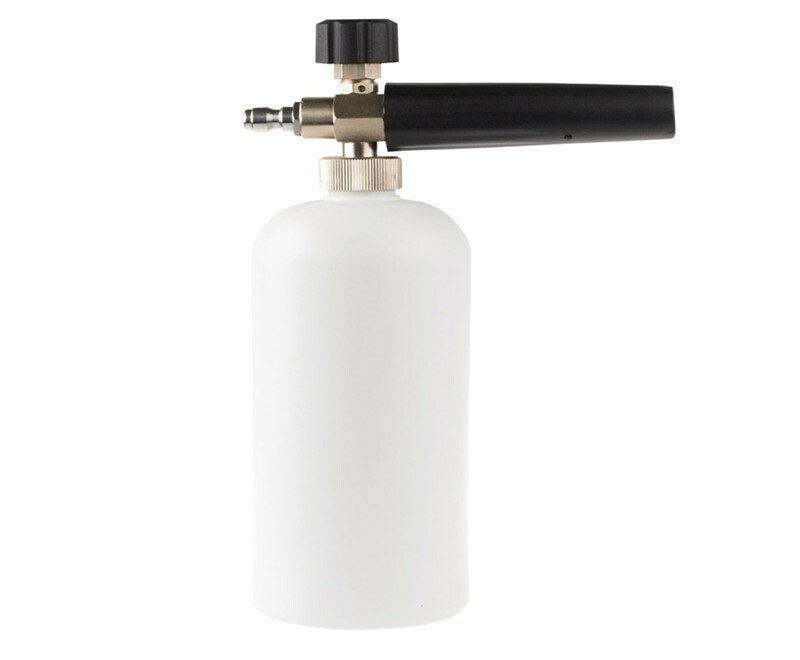 It is made into handheld and compact size for convenient operation. High pressure design makes this machine quite labor-saving. The built-in 1L capacity makes this cleaning machine enough to clean various items. 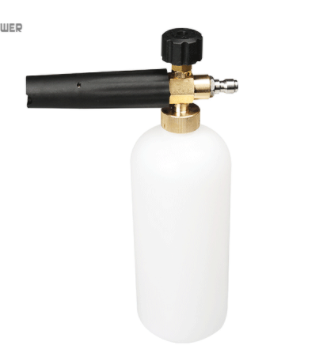 It is mainly used for cleaning glasses, removing greasy dirt or sterilizing bacteria etc. Really a practical item! How about having a try? 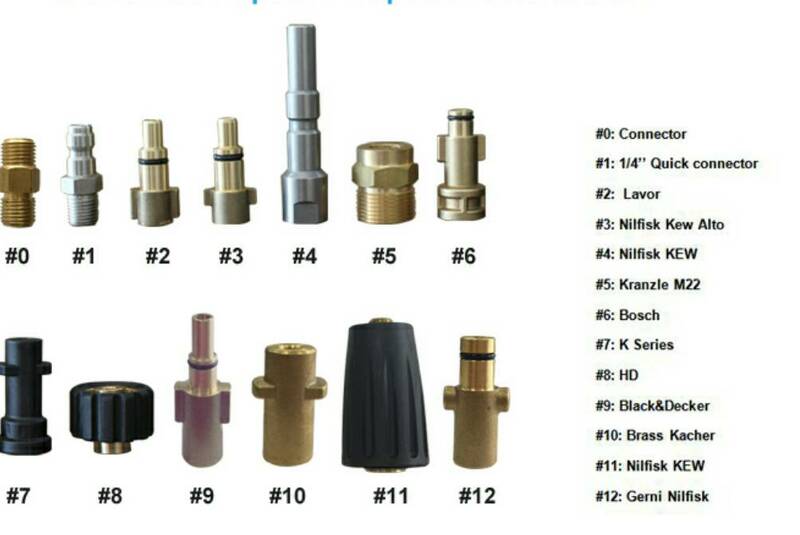 With below different connectors will fit all different kinds brand high pressure washer machine. Such as Karcher, Nilfisk, Kranzle and so on.